Sam Wilson's in the clutches of Serpent Solutions! 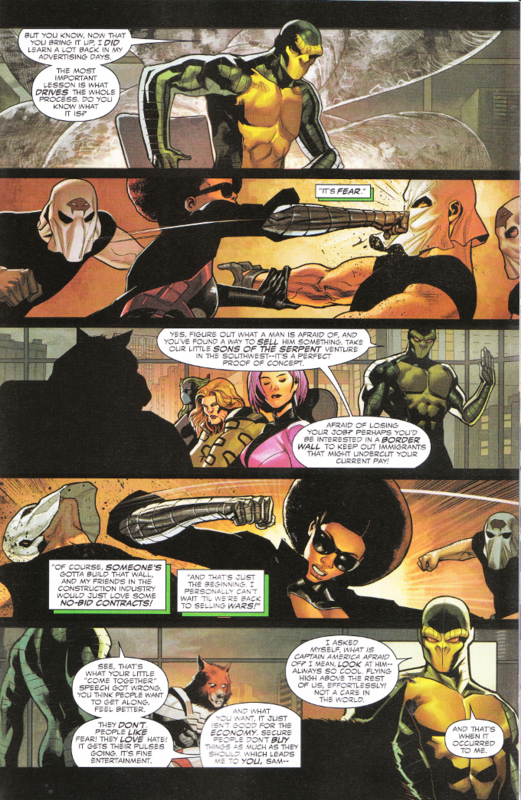 Misty Knight is on the case but even she's hard pressed to save Captain America in the nick of time now! Thankfully, help is coming form on high, in the form of a victim turned hero, who has unwittingly formed a special bond with Sam Wilson. Could a new Falcon be taking wing? Perhaps... if he can survive the night. I've praised Nick Spencer as a writer of comedy and political commentary before. This issue includes plenty of both (I particularly love Viper's speech about how a background in advertising is a natural fit for organized villainy) but it also showcases Spencer's talent for economy of storytelling. There's several subplots going on in the background, ranging from Joaquin Torres's spirited retelling his life's story (which just so happens to give us a recap of the series so far) to the mostly silent flashback depicting Diamondback's downfall and return to supervillainy. Both are gripping tales for different reasons and the whole issue is a wonderful read. 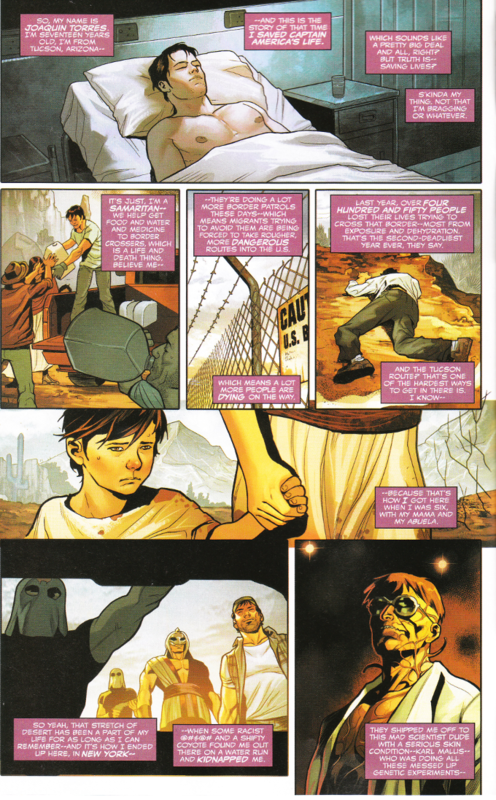 The artwork by Paul Renaud and Romulo Fajardo perfectly matches the script, beat for beat. The action flows smoothly from panel to panel, even as it switches between multiple scenes. The action is well choreographed and the colors are well chosen.